"Politicians are like diapers; they need to be changed often and for the same reason." I wonder what this one is all about? Adam and I have been talking about that one for a while now! In case you're not seeing it, when the guitar is horizontal and in playing position, it's supposed to be a derby hat and a white beard, sort of in the shape of Gary Paxton's actual head. Pretty wild! 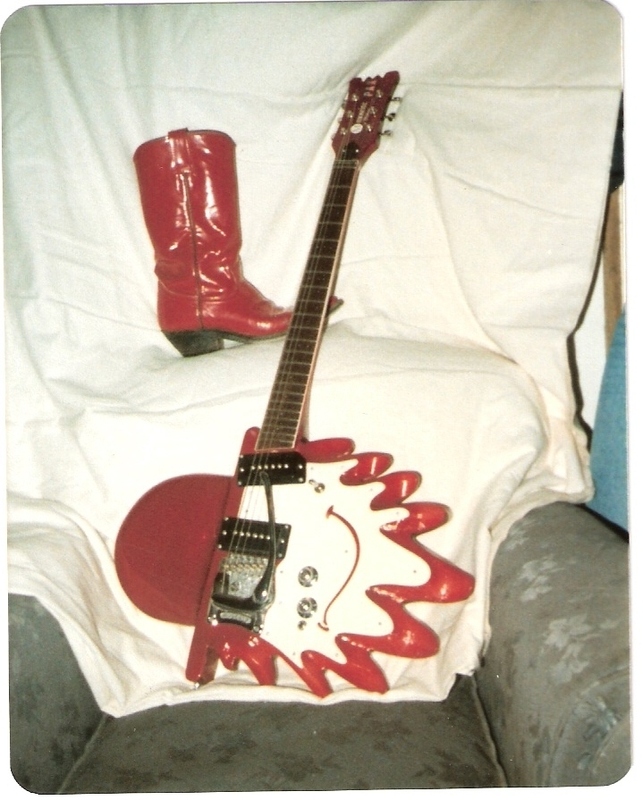 There are a few weirdo Mosrites like this floating around. There's the one that belonged to Mr. Jelly Belly and I saw another really weird one in a photo at a post office in Nashville once! 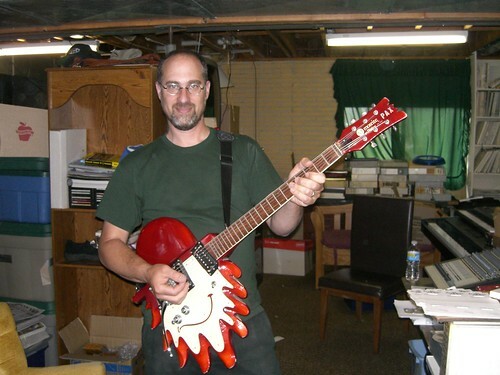 Andy could probably fill us in on all the odd custom Mosrites that Semie built in the 70's, 80's, and 90's--speaking of which, did Elaine disappear? Talk to you guys later, I'm goin' on a 3 week tour to Europe tomorrow. These are amazing! It would be very cool to see the various designs he built. I hope your travels are safe Deke and have a wonderful tour! I don't think Elaine has been around much since NAAM. Maybe she's taking a breather. The photo is taking forever to load. Can someone save it to their photobucket account and re-post it? Then we can delete Sarah's link to the non working slower than molasses photo. I put a copy on my server and linked Sarah's message there. Should be faster. Oy vey - it's MESHUGGA BEACH PARTY - The world's premier Jewish Surf Music Band! Hey guys, I was just at Gary Paxton's house, helping pick up all his 60's masters for Ace Records, and got to check out that guitar first hand. Gary claims it's the last guitar Semi made and it took 2 years to complete.